The Company places particular importance on the organisation of the production process. To achieve this objective we use dedicated software such as CAD-CAM (turning and milling), remotely managing the programmes for the machine tools, to control and manage production. AEFFE's philosophy is based on establishing lasting relationships with customers. Our experience allows us to manage the manufacture of complex parts at all stages of production. Over the years market requirements have led the company to provide not just specific machined parts, but units, parts of systems or complete machines. Aeffe Srl produces centrifuges for oils, designed to clean the cooling lubricants used in chip removal processes. The LH-1000 allows for the separation of three different immiscible substances through the use of separation by sedimentation. LHF-PRO . Designed to clean the cooling lubricants used in chip removal processes. A strong focus on continuous technological and productive innovation, tied into our desire to improve in terms of quality and through constant investments, is the basis of our continued growth and customer satisfaction. 1) Achieve high standards and act according to the customer's requirements, understanding their needs and finding solutions efficiently. 2) quality of the final product is the first competitive factor in a rapidly growing market. 3) Work alongside the customer with professionalism, from the design stage through to the manufacture of the product. Aeffe is committed to its retailers, offering assistance and support services for any and all problems. 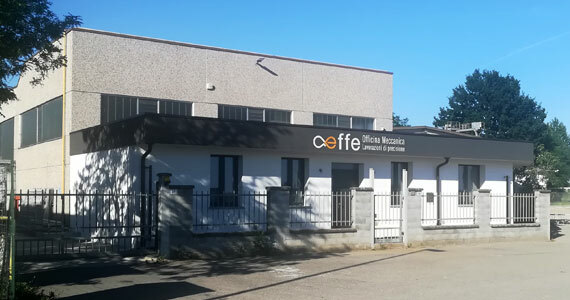 AEFFE Srl is a company operating largely in the machining industry. Bringing together our strong sense of purpose with expertise has led us to become an important production partner for our Customers. To achieve such a high level of service over the years we have been built a team of qualified staff, and forged partnerships with specialised companies in the field of heat treatment and galvanising. Our mission today remains the same: to supply components, pre-assembled products, and machinery units in many different sectors.